Vitasalus has been an Earth Weave dealer for over 10 years and also provides other health-oriented products such as air and water filtration systems. 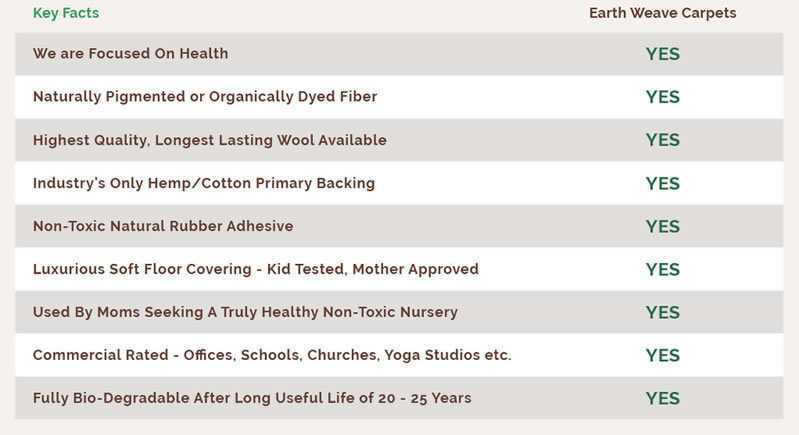 Comparison Chart: Learn how Earth Weave Carpets and Rugs are better than the rest! Note: Colors of the carpet/rug samples on this page appear differently depending on the type of monitor you have. An LED monitor will render the colors more faithfully than LCD or Plasma, etc. We still strongly recommend you obtain the Earth Weave Carpet/Rug* Samples Kit to verify exact colors. 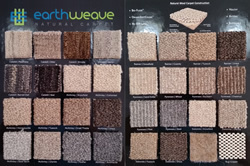 You may order the Earth Weave Carpet/Rug Samples Kit (2" x 2" samples) for $17.95 plus shipping by phone at 1-877-284-5042 or online. 9" x 9" samples are individually available upon request, at $11.95 each. Hover over each image below for a larger image of carpet/rug style and color. Hover over carpet color to see larger pic. All our carpeting prices are per square yard. Colors of the carpet/rug samples on this page appear differently depending on the type of monitor you have (LED, LCD, Plasma, etc.). And since actual carpet/rug colors may be different from what you see on our site, we strongly recommend you obtain the Earth Weave Carpet/Rug Samples Kit. To find a certified floor covering installer in your area, go to www.cfi-installers.org. Call us for additional information. All shipping is done by freight and the cost for shipping can vary. Earth Weave customers are passionate about their family's health, the health of their pets and their overall home health. They will not settle for the pseudo-green marketing ploy that is prevalent in today's floor-covering arena. They understand the long-term health impact of the products they bring into their home. Earth Weave has been supplying that passion for almost 20 years now with the truly unique Bio-Floor carpet line, using natural materials without harsh chemical treatments or toxic mothproofing. Just like our customers, Bio-Floor is unique and made to meet those healthy demands. We salute and thank you for choosing health first. Earth Weave Carpet Mill’s commitment to crafting 100% natural fiber carpets and area rugs is unsurpassed in the industry. Their commitment lies not in recycling petrochemical products, but rather in taking advantage of the ultimate manufacturer—Mother Nature and her renewable natural resources. Earth Weave products use either Bio-Floor's raw natural colored wool or OrganoSoftColors' organic dyes. Absolutely no toxic stain or fire retardant treatments or mothproofing chemicals are applied—period—only produce 100% natural wool floor coverings that are innovative and high quality, used for both residential and light commercial applications. Note that construction, yarn weight and pile height vary between styles, and actual color may be different from what appears online (monitor type is a big factor: color reproduction varies between LED, LCD, and plasma monitors). Earth Weave people are specialists in healthy carpet. 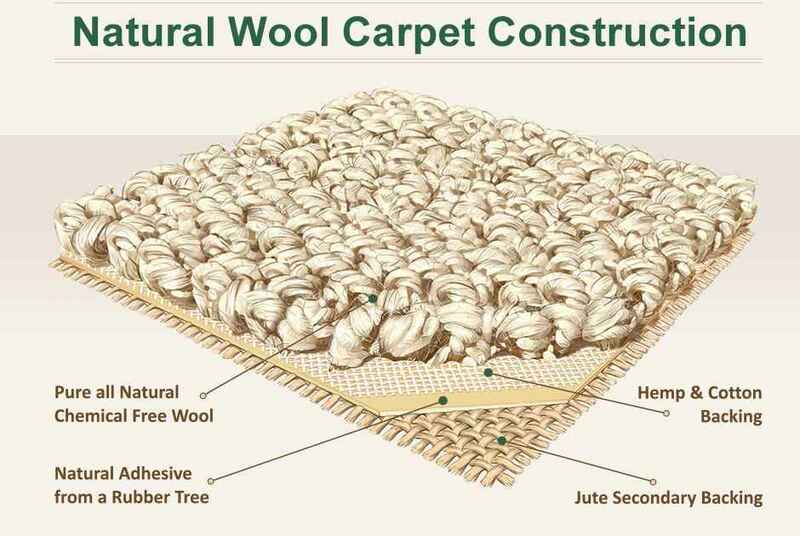 The illustration below shows their manufacturing technique, and exactly what makes Bio-Floor™ (and now, OrganoSoftColors™) the only truly nontoxic, all natural carpeting made in North America. The Bio-Floor™ line has been used extensively by those suffering from chemical sensitivity as well as by those that are concerned about the home environment. Earth Weave has gone to great lengths to design a product that meets the demands of these clients yet sacrifices nothing in the way of styling, comfort and durability. Earth Weave starts by using only pure wool. No pesticides or stain protections are applied that are commonly used by the other wool carpet manufacturers. The application of these chemicals would greatly affect indoor air quality through the off gassing of volatile organic compounds. (Note: Individuals who have sensitivity to animal fibers should obtain an Earth Weave Carpet/Rug Samples Kit before ordering.) If you are in southeastern Michigan, stop by our showroom in order to experience our Earth Weave Carpeting and Rug products before you purchase. Also come in to view our wide selection of water filters and other health-conscious products. View our office address. The primary backing that Earth Weave uses is also an industry-first combination of hemp and cotton. 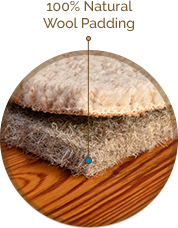 The hardy hemp fiber is used for its durability, strength, and mold and mildew resistance. The all-natural primary backing is specifically designed to be used in our biodegradable flooring and is exclusive to Earth Weave. 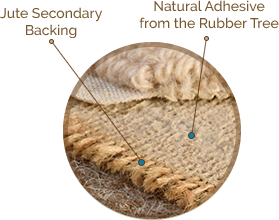 For the back of the carpet Earth Weave uses a jute secondary. Jute was commonly used in the carpet industry before the introduction of the synthetic backings currently employed. 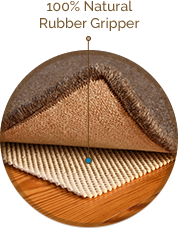 This type of backing furthers the cause of making a completely natural and nontoxic carpet. 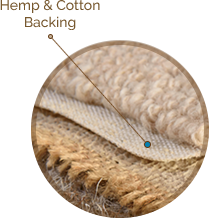 Occasionally other wool carpet manufacturers will use jute as a secondary, but it is hiding a synthetic core of plastic and styrene. Note: Colors of the carpet/rug samples on this page appear differently depending on the type of monitor you have (LED, LCD, Plasma, etc.). And since actual carpet/rug colors may be different from what you see on our site, we strongly recommend you obtain the Earth Weave Carpet/Rug Samples Kit. DOLOMITE Snowfield, Tussock, Granite, Ursus Earth Weave's lowest pile product constructed from the finest all-natural wool available. At 30 ounces, Dolomite is not as thick as our other products, but it still has excellent durability. It is suitable for all residential applications as well as light commercial. Chestnut, Flint, Steel Earth Weave's mid-weight carpet/rug style constructed with a distinct two-color pattern. The alternating rows of color are even in height and give a somewhat sisal appearance but with the durability and softness of the finest all-natural wool available. Pyrenees is suitable for all residential as well as light commercial applications. Silver Birch, Pewter, Anthracite Earth Weave's most popular carpet/rug style offering a muted elegance. McKinley can be either dressed up in a formal application or used in a bedroom/foyer/den to gain the comfort that comes from the finest all natural wool available. McKinley is suitable for all residential as well as light commercial applications. Now with eight colors to choose from. RAINIER Snowfield, Tussock, Granite, Ursus Earth Weave's newer carpet/rug offering showcases a random tip shear. The combination of cut and uncut loops gives this carpet or rug a slightly more formal look than our other offerings. Excellent durability and comfort is achieved using the finest all-natural wool available. Rainier is suitable for all residential as well as light commercial applications. Brindle, Barred Owl, Seal Organically dyed using Earth Weave's proprietary OrganoSoftColors process, this heavyweight wool carpet is beautiful to look at and beautiful to touch. The color and texture variation conveys a styling unlike anything else available and the softness is second to none. This product took a long time to develop but the worth has been well worth it. Amazing styling and amazing softness in one! Please Note, if you are buying carpet: We strongly recommend that you contact a professional carpet installer to measure the area that you are looking to carpet before calling us for a shipping quote or placing a final order. This saves time, money, and potential disappointment on your part; in many cases each installer might have different ideas on how to carpet a certain area and may require a different amount of material. If you find you must order more material because of underestimating, we are not responsible for any kind of color variations between the original order and the new order. Yarn lot variances occur in natural fiber carpets; therefore, merchandise from different lots are not guaranteed to match each other. Natural fiber carpets vary in texture and color. Slight variances in texture and color are normal and do not constitute a manufacturing defect. NOTE: Individuals who are sensitive to animal fibers should contact us for a sample before ordering. Call Toll Free 1-877-284-5042 to order by phone and obtain a shipping price quote. * Due to the natural fiber content of the samples, specifications are subject to nominal manufacturing variances. Supply or manufacturing changes may facilitate product changes without notice. Please contact Earth Weave Carpet Mills, Inc. to verify specifications. Yarn lot variances occur in natural fiber carpets, therefore, actual merchandise is not guaranteed to match your samples. Natural fiber carpets vary in texture and color. Slight variances in texture and color are normal and do not constitute a manufacturing defect. As with all quality natural fiber carpets, vacuuming with a suction only vacuum cleaner is recommended. Beater bar vacuum cleaners may damage the surface pile of this product. Proper vacuuming on a regular basis will increase performance. Use only a wool approved cleaner for removing stains. Do not vigorously rub the affected area. Lightly blot area instead. If stains persist contact a professional cleaner and be sure they use cleaners designed for wool and natural fibers. Bio-Floor™, Enertia™ and OrganoSoftColors™ are trademarks of Earth Weave Carpet Mills, Inc.